1. Flickr is not the organization that “owns” these photos, it’s merely hosting them. 2. If the photo was licensed under a Creative-Commons license, the Straits Times should have attributed the photographer in the article, under the terms of the license. I decided to look up who had posted this photo on Flickr to determine which license the photo had been made available under – that’s when it got really puzzling. Blog post with original image. 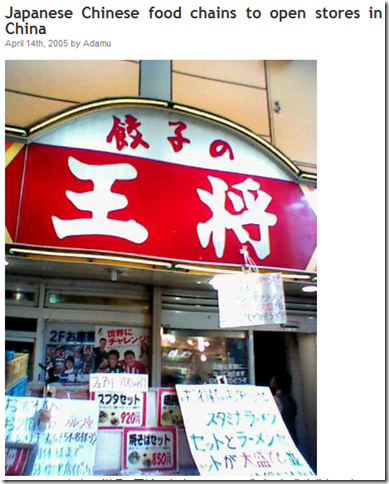 Looking through the source of the page, I can’t find any link to Flickr – only to a Japanese-language webpage that has very little information. So it appears that not only has the Straits Times screwed up how attribution should be done for photos taken from Flickr, they have actually sourced the image from some other website and forgotten to link to the correct website. 4 Responses to "Getting it wrong – Twice"
If I recall correctly, I found that image through Google Image Search at a time when my blogging skills were much less refined. I certainly should have attempted to attribute the photo as accurately as possible, but as of now I couldn’t say where it came from. Adamu – thanks for clarifying. It seems to me that the Straits Times have grabbed the image from your site. Even if it isn’t clear where the image originated from based on your blog post, at the very least they could have given attribution to your site. 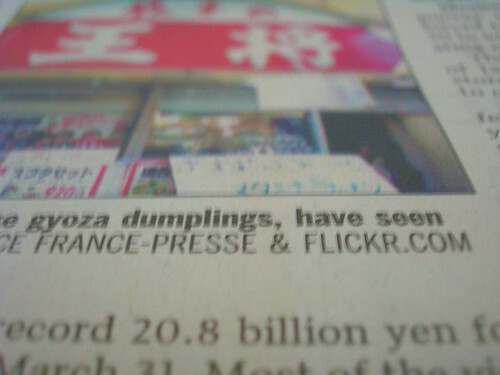 Instead they have linked to Flickr (which is wrong) where this image isn’t even available (even worse! ).